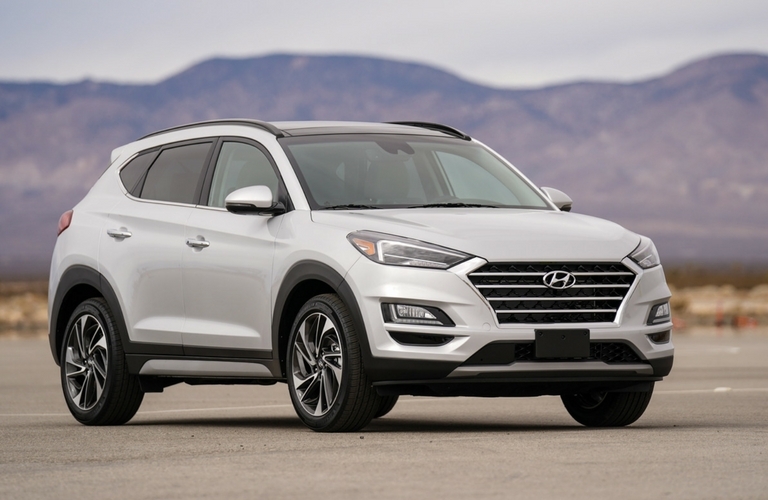 Home » Hyundai Tucson » What’s the Difference Between the 2019 Hyundai Tucson and the 2019 Hyundai Kona? 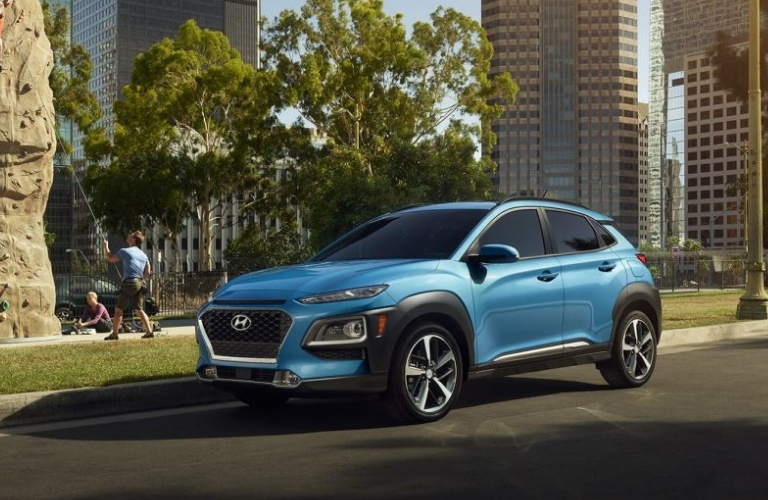 Known for their affordability, efficiency and reliability, the 2019 Hyundai Tucson and the 2019 Hyundai Kona have taken the crossover SUV industry by storm. See how the two match up when they go head to head in this side-by-side comparison. The 2019 Kona’s standard engine shows great fuel efficiency at 27/33 mpg (city/highway) and delivers decent strength with up to 147 horsepower. The Tucson’s standard engine brings more strength with up to 161 horsepower, but it lags behind in fuel efficiency with 23/30 mpg (city/highway). In terms of tech, the two models have similar offerings with feature options like proximity key entry with push-button start, wireless device charging, automatic temperature control and a premium audio system available on select trim levels. Both models also get a 7-inch touchscreen display, which gets upgraded to an 8-inch touchscreen with navigation in the highest trim levels (Tucson Ultimate and Kona Ultimate). While the Tucson Ultimate gains rain-sensing windshield wipers, the Kona Ultimate gets the Heads-Up display instead. Read More: What Colors Does the 2019 Hyundai Kona Come In? Overall, the 2019 Tucson has 8.1 cubic feet more passenger space to offer than the 2019 Kona. When it comes to front passenger space, the two models offer the same 39.2 inches of head room and 41.5 inches of legroom, while the Kona falls shorter in hip room by 2.3 inches. In the rear seats, Kona passengers see 1.4 inches less head room, 3.6 inches less legroom and 2.3 inches less hip room than in the Tucson. If your family has some frequent spillers, the 2019 Tucson’s stain-resistant YES Essentials® seat trim may be just what you need. This fabric is specially designed to resist stains, control odors and reduce static and comes as a standard option in the Tucson’s lower trim levels (SE, Value, SEL and Sport). The Tucson’s higher trim levels (Limited and Ultimate) come standard with leather seats. Though the Kona does offer a similarly stylish and sleek interior, it does not offer stain-resistant seating. In the Kona’s lower trim levels (SE and SEL), we see standard cloth seats. Just like the Tucson, the Kona’s higher trim levels (Limited and Ultimate) gain leather seats. This entry was posted on Saturday, January 26th, 2019 at 11:00 am	and is filed under Hyundai Kona, Hyundai Tucson. You can follow any responses to this entry through the RSS 2.0 feed. You can skip to the end and leave a response. Pinging is currently not allowed.